Are you ready to book your next course with us? Simply click on the Book Now button and it's a simple process. 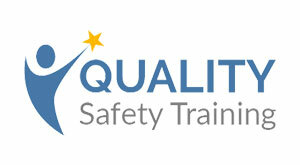 We look forward to welcoming you to Quality Safety Training. This course will not, of itself, make the delegate a “competent person” but it will fulfil the requirement inherent in Article 18(5) of the Order that the competent person be provided with appropriate training in fire safety. To be regarded as “competent” the person would also have to demonstrate that he/ she also had sufficient experience and other appropriate qualities. Whether these criteria have been met would be a matter for the employer to consider when selecting “competent persons”. Who should attend a Fire Safety course? This course is broadly based on the requirements of an approved course on fire safety set at Level 2 on the National Qualifications Framework. All employers have a legal obligation (under Article 18(1) of the Regulatory Reform (Fire Safety) Order 2005) to appoint one or more “competent persons” to help him discharge his duties in respect of fire safety. Although the course is, by its very nature, generic every effort will be made to tailor the practical examples quoted during the day to the sector(s) in which the delegates work. Delegates will also be encouraged to take part in classroom discussions so that their ideas and experiences can be freely exchanged, thus enhancing the overall learning experience.